We design and construct all types of wooden buildings. We have been constructing wooden buildings for more than 20 years and have the skills and experience to build the perfect one for you. Whether you want a log cabin for the garden, a house for family living or a commercial building for your business we can plan, design and build the perfect building for you. Planning Permission – Getting the right permission before work starts is essential. Our experience allows us to advise you on which land will be acceptable for your proposed building. We regularly work with local Architects and other consultants to help you obtain the right permissions. 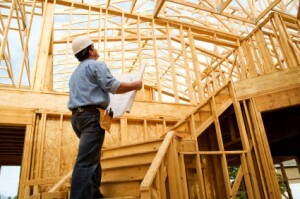 Building Regulations – All of our buildings meet building regulations. Design – Although we have a range of flagship buildings, each build is designed to your exact needs. Houses have exactly the right number of rooms for your family, commercial buildings have exactly the right space for your business and employees. Build – We take your building from the first dig of the shovel right through to the high-quality finish of the completed building. Fitting – Whilst we do not fit kitchens and bathrooms ourselves we have many partners who can help you get the best from your completed building. Guarantee – All of our workmanship is guaranteed for 5 years. With proper care your building will last a lifetime.